When thinking of the Queen, our first image is one of dignity and authority. She is the very definition of majesty: the British monarch, the Supreme Governor of the Church of England and the head of the Commonwealth. But as anyone who knows her will tell you, in person she has a wicked sense of humour. Occasionally unintentional (when meeting guitar legend Eric Clapton she enquired 'Have you been playing a long time? '), sometimes cannily astute ('I have to be seen to be believed') and at times downright silly (nicely demonstrated when staff at Balmoral discovered the Queen jumping up and down with glee exclaiming 'I've won, I've won!' after hearing that England had beaten Australia in the cricket), her sense of humour is like no other. 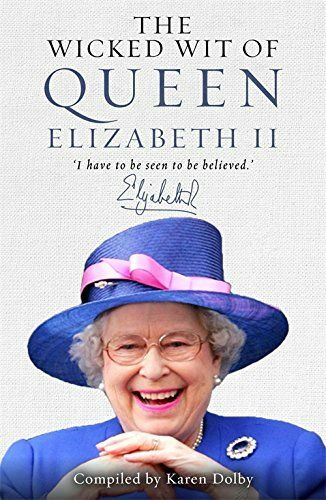 Revealing a side of the Queen's personality that the public rarely see, this joyous little book is a timely celebration of royal humour as Elizabeth II succeeds Victoria as Britain's longest-serving monarch.